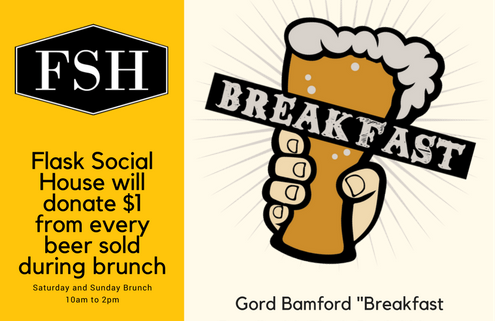 Flash Social House will donate $1 from every Breakfast Beer sold during their Saturday and Sunday brunches starting November 4th! 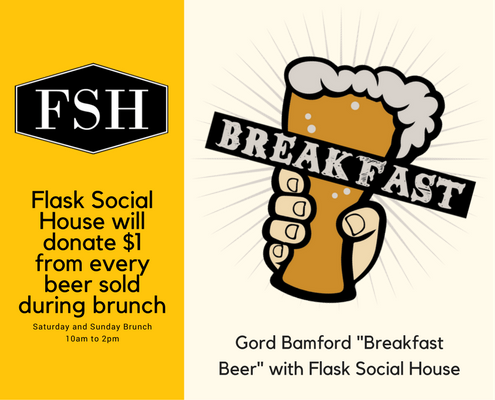 Come see them Saturday and Sunday 10am to 2pm for some Breakfast Beers! Promotion starts Saturday, Nov. 4, 2017 runs until just prior to the 11th Annual GB Charity Golf Classic Event August 15, 16, 2018. Funds raised will support the Gord Bamford Foundation.